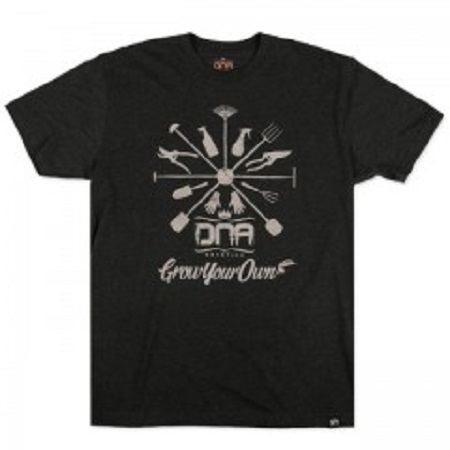 DNA Genetics Garden Tools T-Shirt: This stylish T-shirt from DNA Genetics is part of their new 2015 clothing range, fresh from the DNA Genetics store in Amsterdam. Made from a blend of cotton and polyester, this tee has a screen-printed neck label and a woven label sewn into the hem. The main design features a wheel of garden tools and the DNA Genetics logo which is screen printed onto the front of the t shirt. Show your support for the mighty DNA Army and their elite genetics with one of these stunning new tees from the 2015 range.